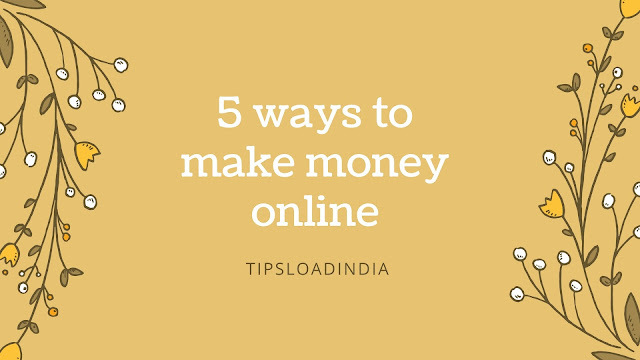 As you all know that all small bloggers are not able to qualify Google AdSense terms and conditions so they always looking for a cool Google AdSense alternative which is just similar to Google AdSense, so for those bloggers who are looking for such these thing here a list of 5 cool Google AdSense alternatives for bloggers. • That will never offer you free rewards. • Not offer you to click on ads. • minimum payout amount is most important factor of good adsense alternatives. • support major payment systems like wire transfer. • connected with large community as a trustee. • High quality ads are first priority of best Google AdSense alternatives. So on the basis of these qualities I would like to suggest you 5 best Google AdSense alternatives for bloggers that will boost your blog earnings. These all mentioned websites are well reputed advertising networks in all world, you can easily use each Website in any country, these all AdSense alternatives are connected with a huge community of advertisers and publishers, for a insight and deep information about these websites you can campare all there qualities, for using these adsense alternatives you must have a website or a blog ( both top and low level domains ), few of them have some recommendations to gave approval to new Publishers but rest of them don't need anything they will gave instant approval to your request within 1 or two days. • you must need a blog or website on which you are going to Advertise. • you need a Facebook user account to register in Facebook audience network. Withdrawal of your amount is also very easy you just have to provide your bank account number and your pan card after that you will able to withdraw your amount instantly in your bank account there was no hold time in your payment. Facebook audience network is a great AdSense alternative because this website support a huge variety of ad types, YouTube can choose native, pop-up and mobile ads in this website. This website also fulfilled with high CPC rate and high quality of ads this will increase your revenue and user comfort. If you have a sufficient traffic count from these countries on your blog than you can easily use media.net as your first AdSense alternative, this is a fabulous website with a new feature of contextual ads it means that this website only show ads releted to your blog content for example you are writing blog posts on camera and it's accessories so this website will only show ads about camera and pics, this feature can make a positive difference in this and other Google AdSense alternatives. Minimum payout amount of media.net is similar to Google AdSense which is $100 it means you can withdraw your revenue when you reach $100 in this website. This Google AdSense alternative is powered by Google, this is only affiliate program which is powered by Google, this website support a variety of ad types, you can choose native, mobile and pop-up ads in this website, as we all know that Google is the most popular search engine in all over the world so this is very normal thing to have millions of advertisers have connected with this website, this website need a lot of publishers to manage all the advertisers because of this, it gave approval even to a new blog to monetize with their ads, this is really high paying Google AdSense alternative for bloggers. • contaxtual advertising is best feature of this website which increases your website revanue by showing relevant ads to your content. • Offered by Google search engines so their was no fear of scam in this website. • CPM advertising method is also a cool feature of this adsense alternative because according to this method every publisher will be paid according to impressions on their ads. • Every publisher also be paid on each refferal from their ad. For using this as your advertiser you just have to go on official website of dfp and have to submit your website URL and email after that you will get instant approval from this website. Commission junction is most popular affiliate website in all over the world, this Google AdSense alternative offer you to choose your favourite brand as your advertiser to your blog, this website provides you approval free process to use there advertising network on your blog, you can easily start monetizing with Commission junction on Your blog, this website provides you 2900 + advertiser's to choose, to start using Commission junction as your monetization network you just have to sign up as a publisher on Cj official website. This website not need any requirement to give approval to any new blog if you are new in blogging industry then this AdSense alternative can help you to generate some money from your new blog. • A huge advertisers count give you options to choose highest paying Advertiser. • Directly transfer of your amount in your bank account. • minimum payout amount of $10. • Minimum payout amount is just half of Google AdSense, it is $50. • A great Google AdSense alternative with high CPC rates. • Support wire transfer of your earned revanue. • A hassle free alternative of Google AdSense.